July 1, 2014 Archives - Clarksville Sports Network - Clarksville Tennessee's most trusted source for sports, including Austin Peay State University. Nashville, Tn – The first-place Nashville Sounds (45-41) used a seven-run explosion in the bottom of the sixth to pick up an 8-5 win over the Memphis Redbirds (38-45) at Greer Stadium on Tuesday night, extending their win streak to five games. Nashville trailed 3-1 heading into the bottom of the sixth when Jeremy Hermida jump started the Sounds’ rally with a one-out solo home run. Hermida finished the game going 1-for-2 with a pair of walks. He has now reached base in 26 consecutive home games, the longest streak by any player in the PCL this season. 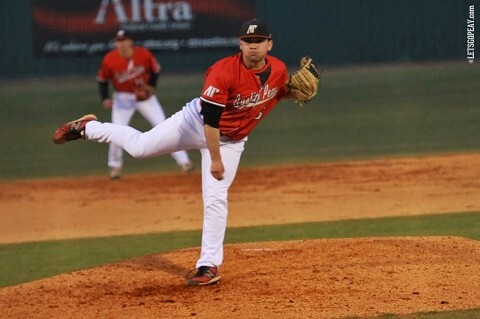 Durham, NC – Austin Peay State University baseball standout freshman Alex Robles earned his third Freshman All-America honor, Monday, as he was named to the 2014 Baseball America Freshman All-America First Team. The honor joins Robles’ First-Team Freshman All-America selection by the National Collegiate Baseball Writers Association.